Using proper frameworks in PHP software development brings robustness and success to the process as it enables quick, simple and efficient developing. Choosing a particular PHP framework usually depends on developers’ preferences. There are numerous frameworks available over the Internet and each one has its special features. However, there are several most popular PHP frameworks that are generally considered to be the top ones. They suit most of the developers’ needs and provide high stability, speed and usability characteristics. Let’s make a small review of them. Yii is definitely the leader as it provides faster performance, higher security and brilliant features compared to other frameworks. It is a free and open-source project written in PHP5 which aims to reach the maintainable and extensible end product. Yii has clean and dry design and describes itself as the best for developing Web 2.0 applications. Codeigniter is one of the most popular PHP frameworks as well. It combines powerful features and simplicity in use. Being one of the easiest PHP frameworks Codeigniter is excellent for those who are tired of large and overloaded frameworks and are looking for effective performance within simple interface. Zend is an open source framework for developing using PHP 5.3+ and uses object-oriented code. 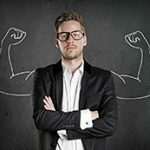 It is perfect for enterprise needs because of its reliability, friendly corporate licensing, flexible architecture, thoroughly tested codebase and unique features. Our company has solid experience in Zend framework app development. Our team uses goal oriented methods in order to meet all requirements of our clients. 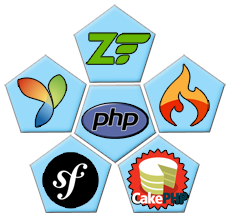 CakePHP is a rapid development framework famous for its ultimate features and built-in tools. It uses commonly known design patterns as MVC, Front Controller, Association Data Mapping and ActiveRecord. It is a structured framework perfect for PHP developers of all levels. Symphony follows the model-view-controller system (MVC) and has a library of many PHP code classes. Provides security configurations to your application. Symphony is free under the MIT license. QArea provides Symfony Web Development services and always delivers high-end solutions to its clients. Any of the frameworks above is an excellent solution and the choice actually depends on the users’ personal requests.